CC & BB Cushions is PART OF MY LIFE RIGHT NOW!!! ENTIRE RANGE of their Miracle Finish Cushion for me to try them out and I can't wait to share the outcome together with you girls!!! 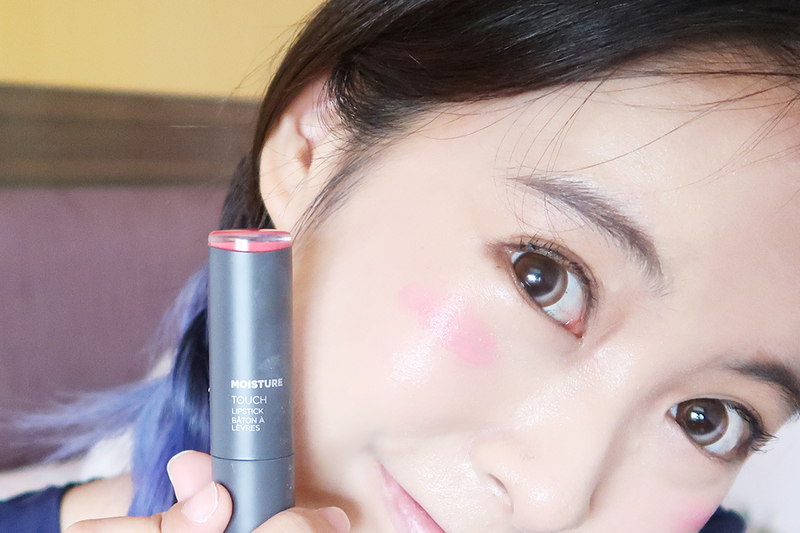 Aside of Miracle Finish Cushions, they did sent me 4 Moisture Touch Lipstick too! The packaging is just so pretty!! Here is the before and after, it makes skin looks glowish instead of oily kinda look! Texture: Slightly thick, suitable for evening makeup, but you can apply a thin layer for a day look. Minimal skills needed, but after you apply for a few times, I bet you can master it well! Coverage wise 8/10 for me. 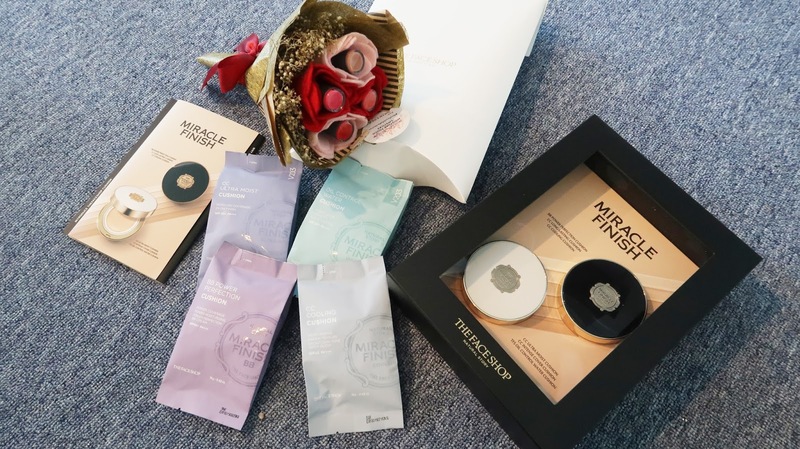 As The Face Shop Miracle Finish cushions provide lots of different cushions for different functions to suit best for your skin! 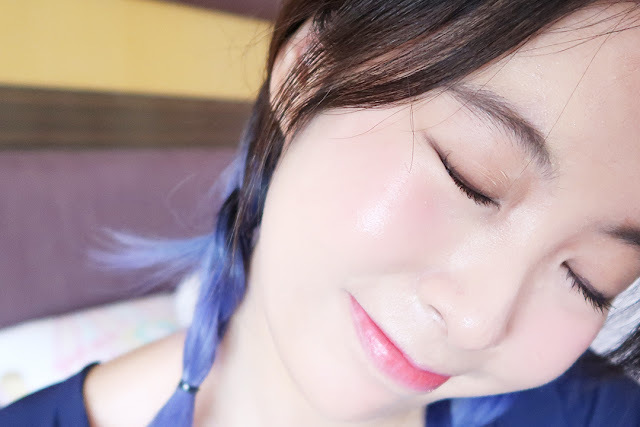  Oil Control Water Cushion – prevent makeup from clumping with sebum control and matte finish to maintains refreshing, bright complexion suitable for oily or combination skin. 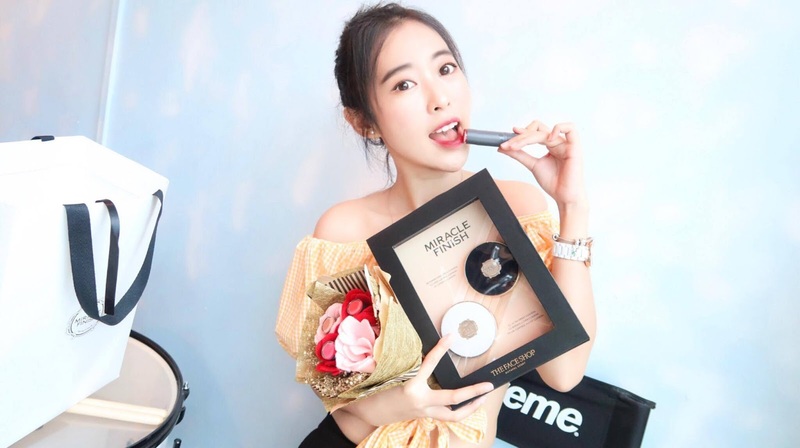  CC Intense Cover Cushion – contains 7 types of flower oils and extract for making dry skin dewy and radiant and make your skin look perfectly flawless with high coverage.  CC Ultra Moist Cushion - deeply moisturizing effect that gives a dewy and glowing effect. It covers fine lines for smooth skin and gives natural glow to the skin.  CC Cooling Cushion – great moisture function with cooling effect to give the skin an instant moisture recharge that is dry from the heat and it is long lasting + light weight.  CC Long Lasting Cushion – contains primer that makes the skin smoother and long lasting. It comes in handy if you are looking for a cushion that stays the same even with frequent retouching. 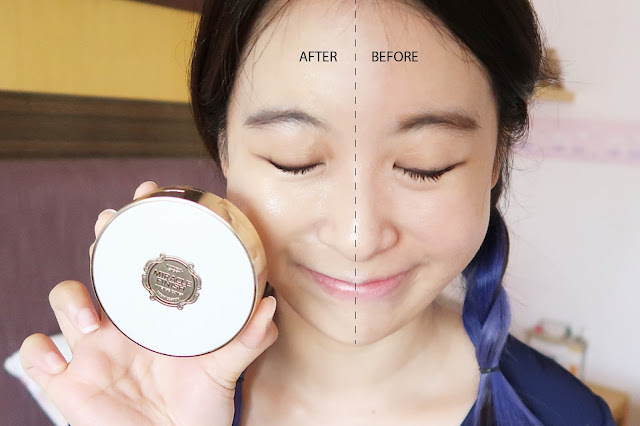  BB power perfection cushion – contains moisturizing and regenerating ingredients that helps to maintain skin elasticity and strong coverage to hide blemishes with matt finish. An alternative for you for easy to carry and to apply if you have been a frequent user of The Face Shop Power Perfection BB Cream. Here you go for the color swatches of the Moisture Touch Lipstick! 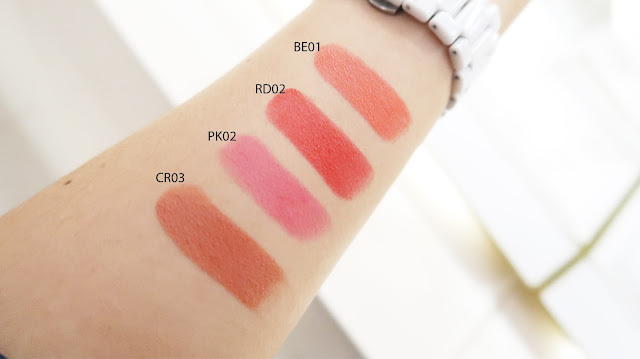 My favorite color is RD02 & BE1 that suits my skin well. However PK02 is good for blending the lips with other colors. I used PK02 on the first layer, and RD02 on the inner part of lips. It makes a perfect bitten lips gradient color. Creme blush? Use this instead. Why waste money when you can use Moisture Touch Lipstick for lips and cheek? 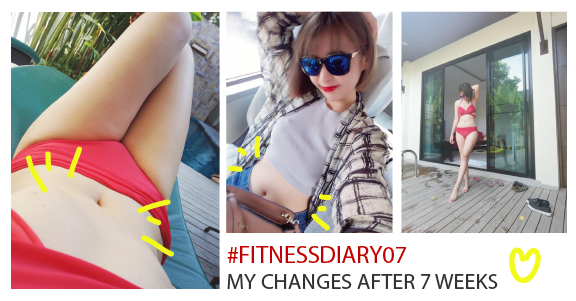 You may follow their social media for more latest updates! Hope you enjoy my review and see you soon!